Fundraiser by Lakeland Aeroclub : Miss Bonnie's Engine Overhaul! 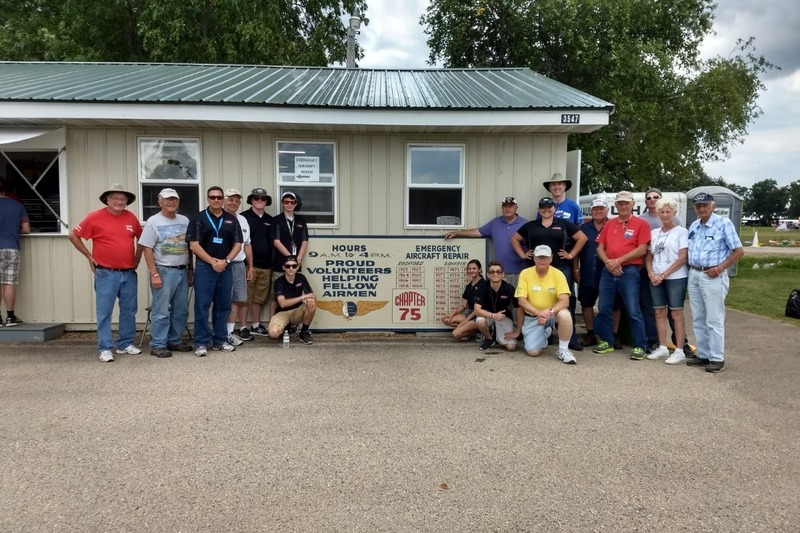 On July 17th, 2018, the Lakeland Aero Club departed runway 26 at KLAL for it's fifth trip to Oshkosh, WI. for AirVenture 2018. Three adult Mentor Members and five Student Members began their 1,100 NM journey in three antique airplanes. A 1946 Aeronca Champ, a 1947 Piper PA-11, and a 1953 Piper PA-18. Davis Benningfiled, 18 years old, piloted the club's PA-11, and Olivia Sullivan, 19 years old, piloted the club's PA-18. Davis and Olivia are the club's newest tailwheel pilots, as they both received their endorsements just a few weeks before leaving for Oshkosh. Along with our pilots, five of our Student Members, all students of the Central Florida Aerospace Academy, had the opportunity to fly the airplanes along the way to Oshkosh and get a jump start on their flight training. During this annual trip, the students are involved in every aspect of flying to and from Oshkosh. It is their job to work with the new pilots to help make the decisions throughout the journey. Flying old antique airplanes across the country is no easy task, especially with such young pilots. We face many obstacles each year, the hardest of which is the weather. Flying airplanes that cruise at 80-90 kts. at altitudes of 1,000-3,000 ft. makes dodging weather very difficult. Our students and pilots are tasked with making all of the decisions for each route of the journey to ensure a safe and successful trip. Our students look forward to this trip every year, primarily because of the journey. Of course the goal is to get to Oshkosh, but the journey getting there is the most important part. This year we faced more challenges than we ever have. The weather made the trip to Oshkosh much longer than intended, and some maintenance issues along the way didn't help. 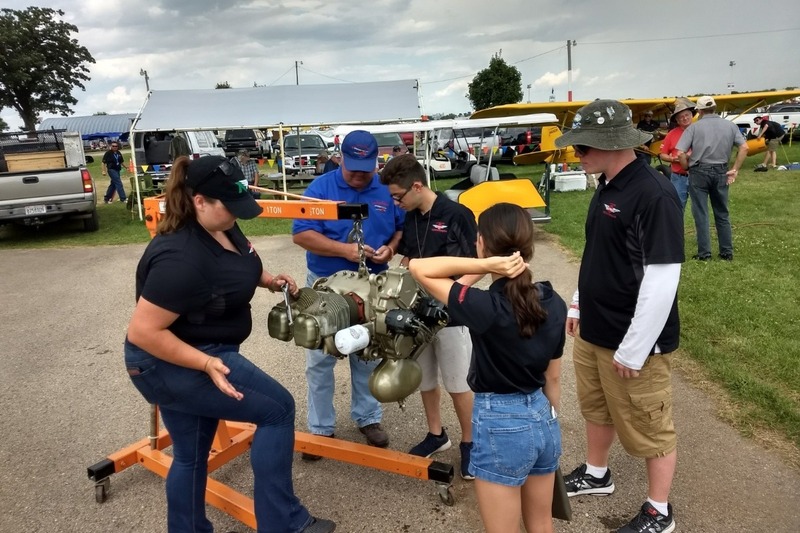 The club's Piper PA-11 engine, a Continental C-85, suffered some unpredictable damage that was detected after arriving in Oshkosh. 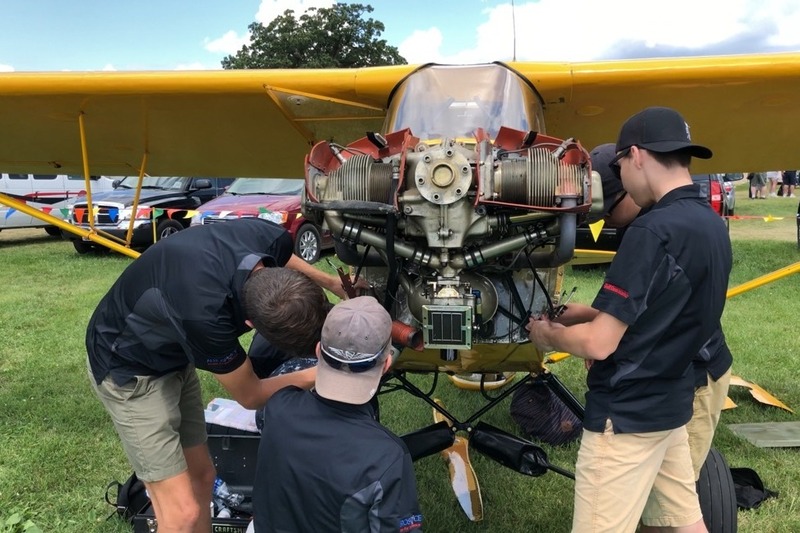 Damage to one of the cylinders grounded the airplane at Oshkosh, and after a thorough inspection by the Lakeland Aero Club members and mechanics from Don's Dream Engines, it was determined that the engine was in need of a complete overhaul. 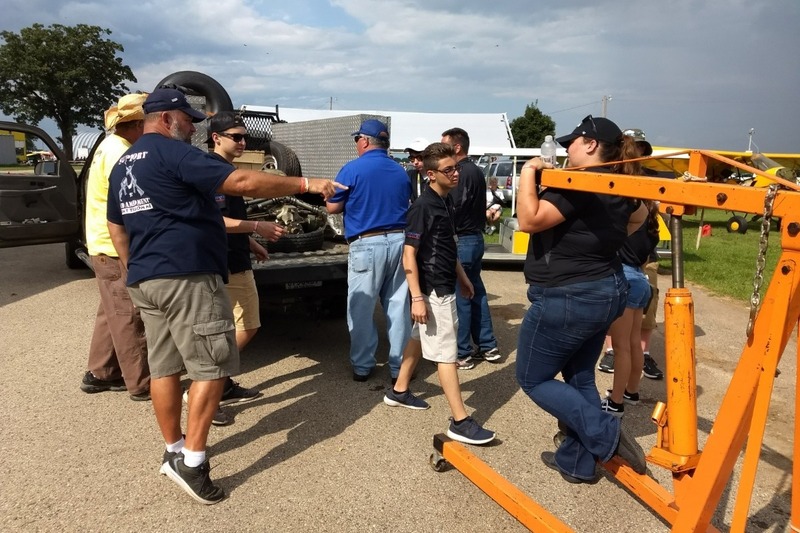 People gathered all around Miss Bonnie, the club's PA-11, while the Lakeland Aero Club students dismounted the engine from the firewall, and loaded it on a truck that would head for Alabama for overhaul. 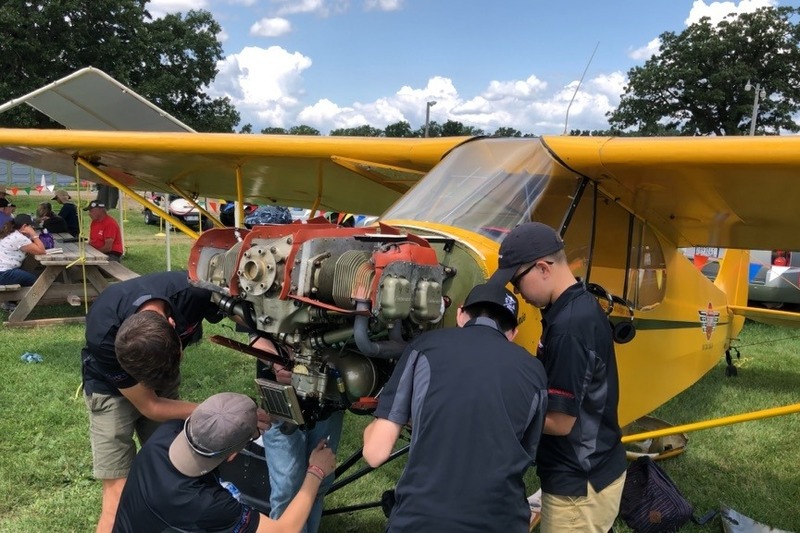 Once the remaining Lakeland Aero Club Members get back to Lakeland, some of the students will be going back up to Alabama to help reassemble the engine. Once the overhaul is complete, the students will go back to Oshkosh, reinstall the engine, and fly it home to Lakeland. The Lakeland Aero Club provides an opportunity for its members to learn how to work on and fly antique airplanes. Members of the club finished the restoration of the club's 1953 Piper PA-18 in April of 2015, and have been working on several other restoration projects since. Member of the club also frequently work to keep our current flying fleet in an airworthy condition. This flying club wasn't developed for its members to stand back and hold the flashlight while older more experienced mechanics do all of the hard work. This club was developed so that its members can get engaged and learn to commit aviation on their own. Our pilots fly themselves to Oshkosh, and our members do their own work to our airplanes, all under the mere supervision of those experienced in the industry. 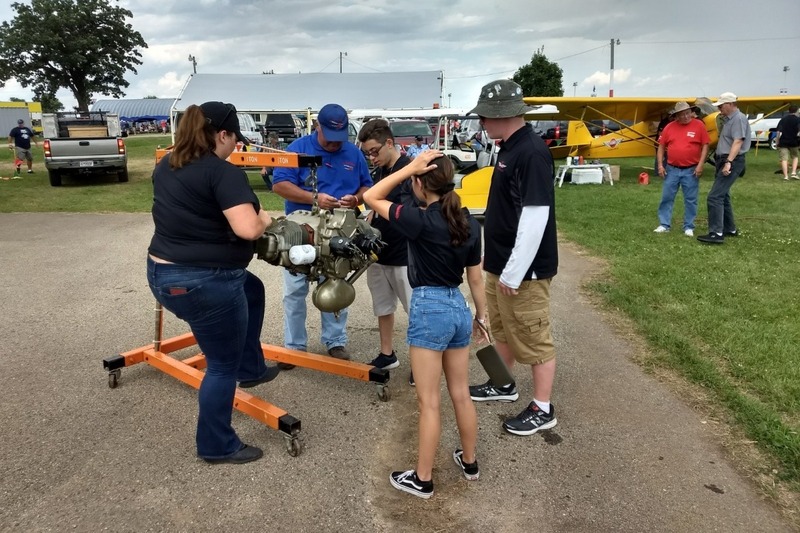 The mission of the Lakeland Aero Club is to provide opportunities for today's youth with hands-on experience in restoring, maintaining, and flying, antique general aviation airplanes, all to aid in Making Tomorrow's Greatest Aviators, Today. Whether the interest is in becoming a pilot or a mechanic, we make Aviators! The Lakeland Aero Club is currently soliciting help in raising funds to overhaul Miss Bonnie's engine, so that the Lakeland Aero Club can bring her home! The Lakeland Aero Club is a 501C3 Not for Profit organization, so all contributions can be written off. If you have any questions, please contact our club President, Mike Z, at (941-915-8883. Thank you for your support in Making Tomorrow's Greatest Aviators, Today!